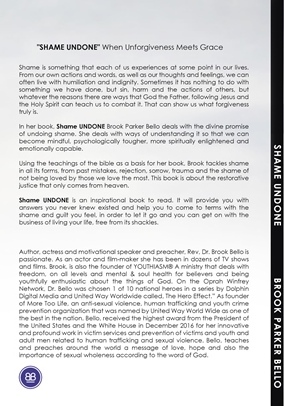 Shame is something that each of us experiences at some point in our lives. From our own actions and words, as well as our thoughts and feelings, we can often live with humiliation and indignity. Sometimes it has nothing to do with something we have done, but sin, harm and the actions of others in our lives, but whatever the reasons there are ways that God the Father, Jesus and the Holy Spirit have and can teach us to combat it and be free. 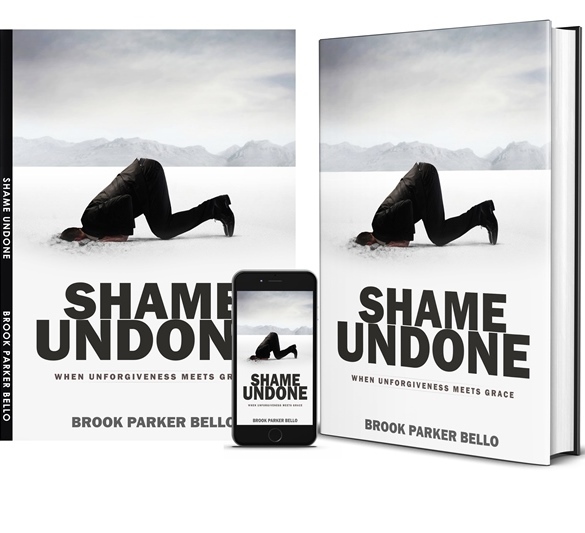 In her book, Shame UNDONE award winning Dr. Brook Parker Bello deals with the divine promise of undoing shame. She deals with ways of understanding it on various levels and in different dimensions so that we can become mindful, psychologically tougher, more spiritually enlightened and emotionally capable. 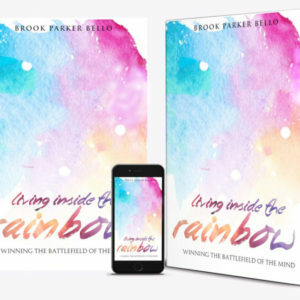 Using the teachings of the bible as a basis for her book, Brook tackles shame in all its forms, from past mistakes, rejection, sorrow, trauma and the shame of not being loved by those we love the most. 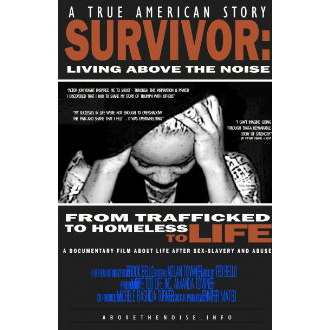 This book is about the restorative justice that only comes from heaven over the evil of the powers of darkness. 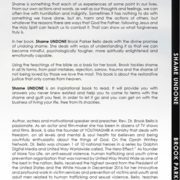 Shame UNDONE is an inspirational book to read. 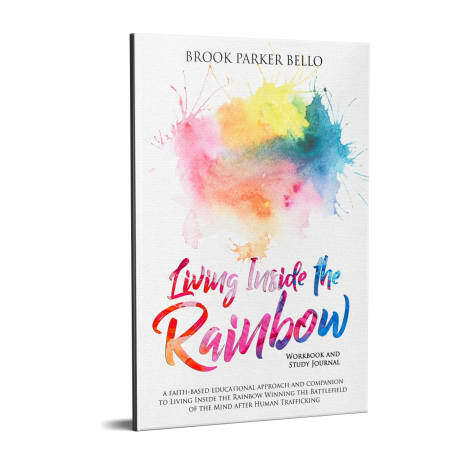 It will provide you with answers you never knew existed and help you to come to terms with the shame and guilt you feel, in order to let it go and you can get on with the business of living your life, free from its shackles.